The league has seen a lot of great jerseys in its 71-year history, but not every design is a success. Here are our best and worst jerseys for each NBA team. If you’re new to basketball, you may be asking yourself “Where’s the neon on those Hawks jerseys?” NOWHERE, and that’s how it should be. 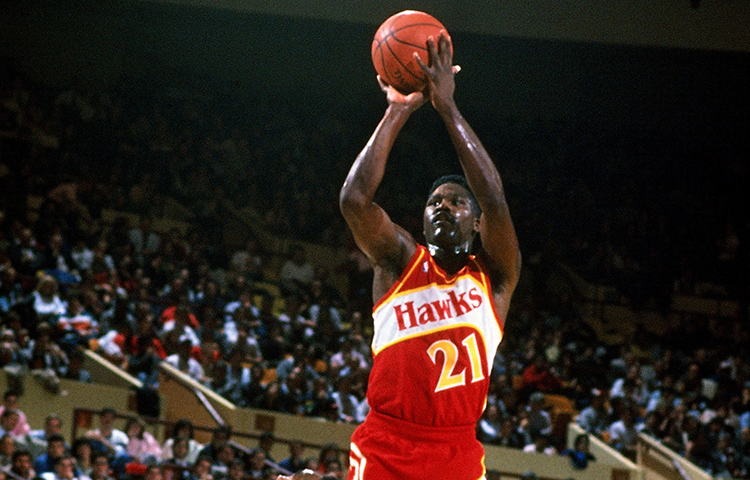 The Hawks rocked these sleek red and yellow beauties in the late 80s, and it’s a shame that they’ve gone in another direction with their new uniforms. Bring back the yellow! Okay, maybe don’t bring back that much yellow. Atlanta rolled out these McDonald monstrosities in 2004, and it’s painful just looking at them. Not even the epic afro of Josh Childress could undo the sheer unattractiveness of these jerseys, and it’s safe to say that the Hawks won’t be bringing them back any time soon. The Celtics haven’t changed their look very much over the decades, and why should they? Boston is arguably the most historic team in all of sports, and players like Larry Bird, Bill Russell, and Robert Parish wore that green and white with pride. Don’t ever change, Boston. I said don’t ever change, Boston! Let’s start with the fact that the short-sleeve jerseys are the single biggest atrocity that the league has ever had to endure. They only lead to two things: advertisements and pit stains. Next, we have to address the all-grey look that’s a slap in the face to all the Boston greats. It’s upsetting that these jerseys haven’t been retired yet, and you can expect to see them in the upcoming season. Here’s an idea, Brooklyn: Bring back the stars and stripes uniform! If you’re going to consistently be one of the worst teams in the league, you might as well have a Throwback Night every now and then and look fresh! This 80s design proved that simplicity is key, and the great Dr. J only made them that much cooler. These jerseys have to make a comeback ASAP. I don’t know where to begin with these jerseys. What opponent will feel intimidated by a team that looks like walking Bomb Pops? And that isn’t just the lighting reflecting off them either. Those are light blue streaks running all the way down to the shorts. The 90s brought us a lot of incredible NBA uniforms, but these are not one of them. 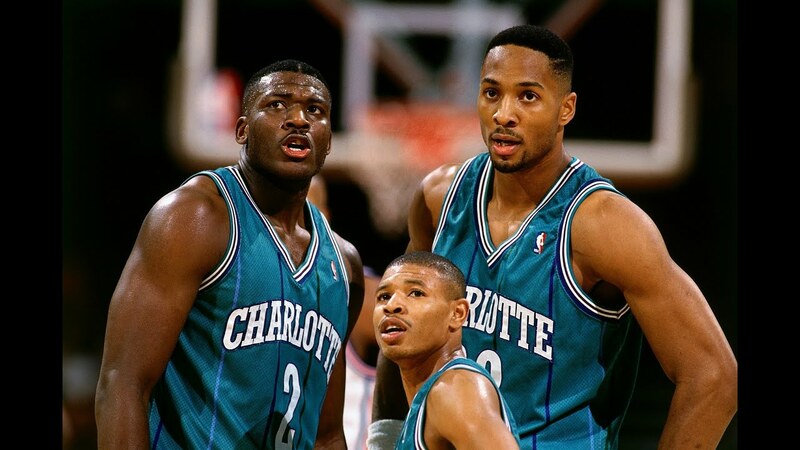 I’ve never understood why the Hornets moved on past the teal jerseys from the mid 90s. The white lettering really pops out, and I’m a sucker for pinstripe. Throw in a subtle purple trim and you have one of the cleanest jerseys this league has ever seen. Charlotte had the nerve to pull out these threads in 2007 in an effort to appeal to the NASCAR fan base (I’m not even joking). The checkered flag should stay in the racing world because it looks terrible on this uniform. This is also one of the few cases where the pinstripe jersey doesn’t look good, and it makes me wonder just how many people on Charlotte’s marketing team got fired because of this hot mess. Serious question though, is there anything memorable from the Bobcats era in Charlotte? Let’s just pretend they’ve always been the Hornets. Name a more iconic jersey, I’ll wait! 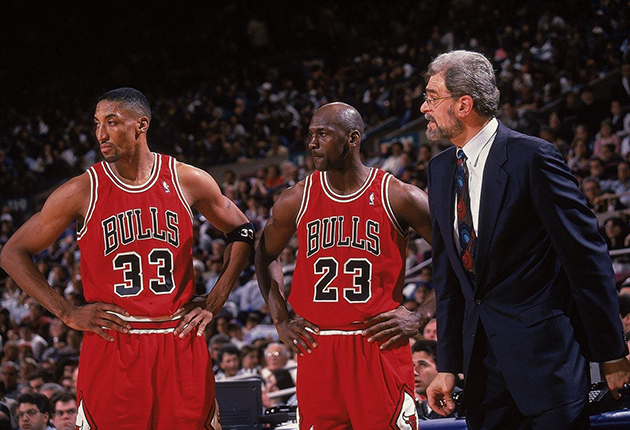 Michael Jordan ripped the league to shreds in these all-red masterpieces. Chicago was on an entirely different level of dominance in the late 90s as they won five championships during this jersey’s time in the league. Much like the Celtics, the Bulls haven’t strayed away from their look, and they deserve a round of applause for that. This jersey was only worn once for Green Day in 2008, but that is NO EXCUSE. I don’t care if it’s for a good cause, don’t recycle! Seeing green on a Chicago Bulls jersey is like seeing the Yankees wear Red Sox colors. Under no circumstances should that happen. Shame on the Bulls for putting the world’s needs over their own. I’ll be the first person to tell you that I can’t stand Cleveland’s colors of Wine Red and Mustard Yellow. They don’t look good together. These light-blue jerseys are a lot easier on the eyes, and the red and yellow trim puts them over the top. We haven’t seen these gorgeous uniforms since 2009, and I’m seriously considering starting a petition to bring them back. 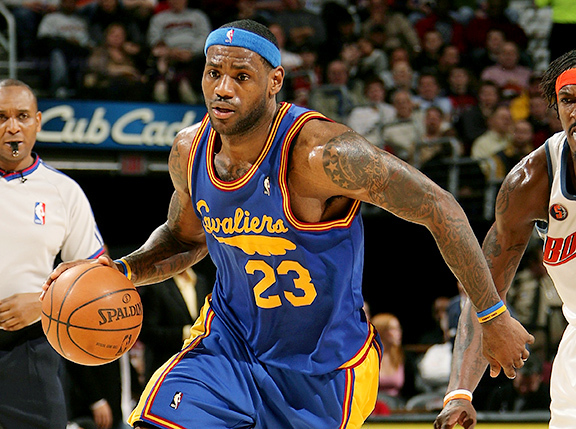 I’ll never understand that single brush stroke of light blue across the middle of those 1998 Cavaliers jerseys. They look like one of those abstract art pieces that you pretend to like, but in you’re head you’re wondering why anyone would ever spend money on them. I’m seriously considering starting a petition to not bring these back. The mid-90s Dallas jerseys are one of the few home jerseys that actually made this list. How could you not like them though? The blue lettering with a green trim (I love that green trim) is already an attention-grabber, so the simple white background was the perfect call. 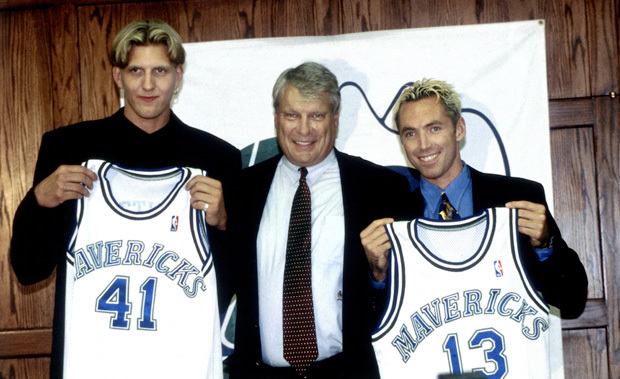 You know these jerseys are great when they can distract you from Nowitzki and Nash’s unfortunate hairdos. 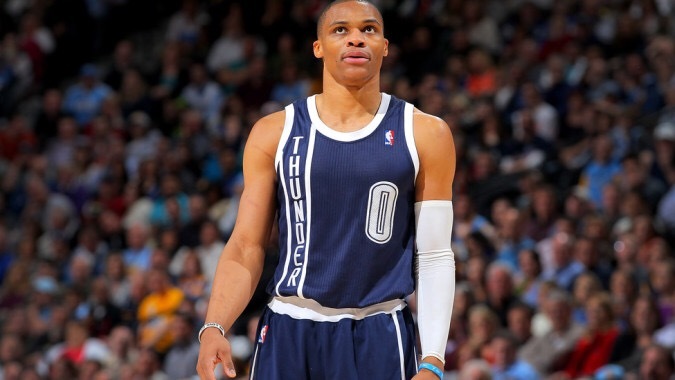 This is the single ugliest jersey in the history of the NBA. It may even be one of the worst jerseys in all of sports. These reflective uniforms were only worn in one game before Dallas was forced to put them into retirement after becoming the laughing stock of the league. They look…slippery. Fans weren’t ready for this uniform in 2001, and I don’t think they ever will be. The 1985 Nuggets jersey is remembered by many as the wildest jersey of all time, but it works. Sure, it’s worn out nowadays by frat boys, but that colorful skyline paired with the towering white mountains is an absolute classic. In a league where jerseys have become plain and dull, we need more daring designs like this one. NO. How dare you try and bring back that colorful skyline only to replace it with various shades of blue! Where’s the red? Where’s the green? Where’s Dikembe Mutombo to swat these atrocious threads away? You either bring back the original skyline jerseys or you don’t wear them at all. 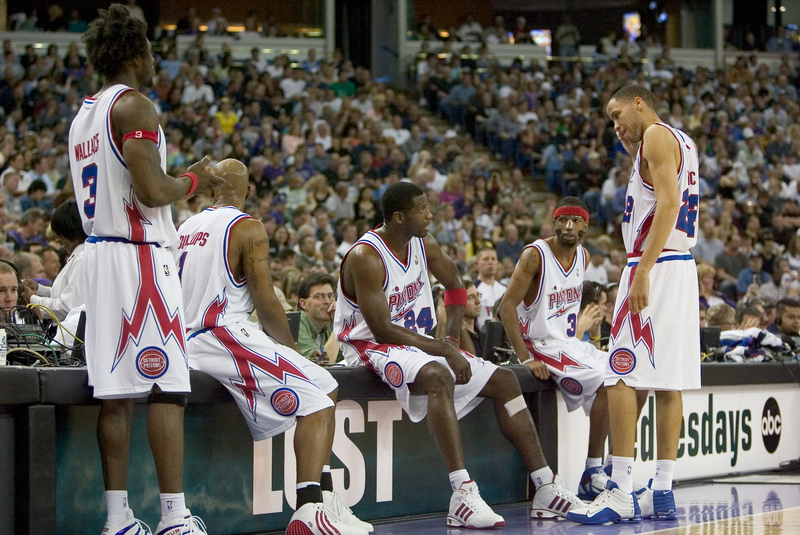 The Bad Boy Pistons are the most badass team ever assembled, and opponents trembled when they saw those blue and red jerseys. The white trim only makes that “Pistons” text pop even more, and these jerseys are proof that new isn’t necessarily better. Long live the classics. Detroit deserves some credit for trying to go big with this design, but just look at these jerseys! The bolt splits at the shorts, forming some kind of electric fork, and the single bolt under the word “Pistons” is just tacky. These jerseys could have been great, but we’ll never know for sure. Once Durant joined, Golden State became the undisputed villain of the league. That’s why they need to bring back this uniform. The red and yellow trim along the side paired with that menacing logo on the chest of jersey is too perfect. It’s actually one of the few times I’m okay with the short-sleeve jersey. If you ask me, the Warriors need to wear these every night. If you’re going to be the villains of the league, you might as well look the part. Why? The Warriors had the audacity to bring these jerseys out in 2012, and it’s shocking that they managed to win games in them. This is not one of those cases where I actually like the short-sleeve jersey. Steph Curry looks like a walking bottle of mustard, and the pinstripe shorts just don’t match at all. 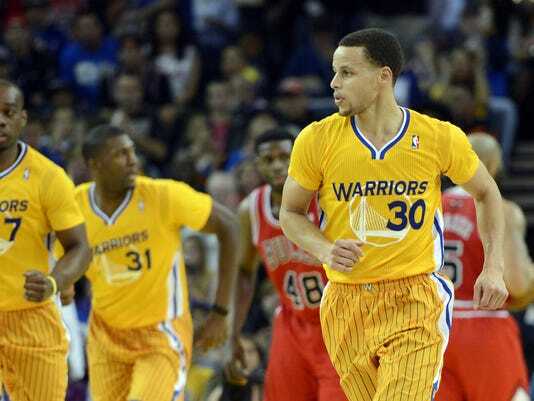 These uniforms are one of the only Ls that Golden State has taken in recent memory. The Rockets got it right with these jerseys, and they stuck with them for almost 20 years. When you see these threads, you think of Hakeem Olajuwon hitting defenders with the dream shake. Houston is in great shape this upcoming season to make a run in the playoffs, but they’ll never be able to recreate these sweet jerseys. This actually happened, like for real. Christmas jerseys have always looked awful in the NBA. The league has missed the mark on countless occasions, but Houston’s 2012 Christmas uniforms are one of the worst ones we’ve ever seen. I don’t know if they were going for a candy cane look or what, but these threads are just awful. Although Reggie Miller is as polarizing as they get, nearly everyone agrees that these jerseys are a classic. You know by now that I’m a fan of the pinstripe jerseys, and these are no exception. I was shocked to see the positive reaction towards these jerseys. Sure, wearing a jersey that’s a tribute to Hoosiers seems cool, but these jerseys are anything but. If you’re going to really go all out with this theme, you need to bring back the short shorts. Those baggy yellow shorts are an insult to the eyes, and I don’t understand why they repeatedly wore these jerseys instead of making them a one-and-done like most special edition uniforms. Californians will really like what I’m about to say: Bring back the powder blue! Nothing gives off a better vintage vibe than powder blue uniforms. From the San Diego Chargers to the Los Angeles Lakers, you can’t go wrong with that color. The Clippers have been known to roll out some pretty plain jerseys, so these beauties are a welcomed sight (although I could do without the short sleeves). Remember when I said the league has gotten more boring with its jerseys? Well, this is the No. 1 example. The Clippers had a golden opportunity to reinvent themselves after the forgettable Donald Sterling era. With a star-studded roster and a rapidly growing fan base, the time for change was at its peak. Then Los Angeles unveiled these jerseys. Could they be any duller? You can easily make that logo on an iPhone in under five minutes, and what’s with the on-and-off white trim? It just cuts off on the bottom of the collar for some reason. These jerseys are a missed opportunity for the Clippers. 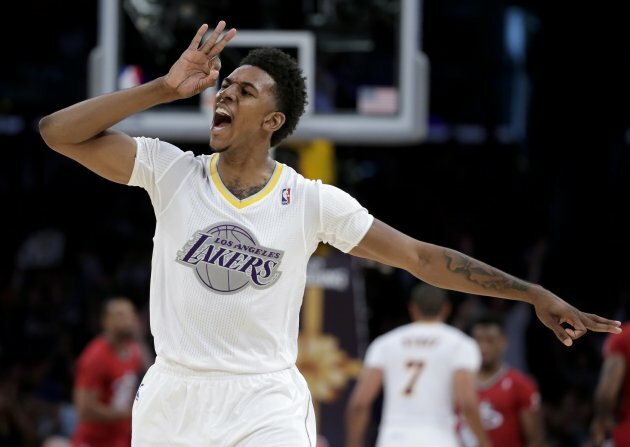 It’s the Showtime Lakers. Need I say more? Seriously, it doesn’t get more iconic than these glorious threads. The current Lakers are not a fair representation of just how historic the franchise really is. Magic Johnson, Kareem Abdul-Jabar and so many other greats bore these 3D-print jerseys, and they’re easily one of the sweetest uniforms of all time. And the Christmas jerseys strike again! We get it, the NBA wants to join in on the Christmas spirit during the holidays. That’s fine, but could you please put a little more thought into the designs instead of simply printing the logo on a plain white t-shirt? The fact that the great Kobe Bryant had to wear these ridiculous jerseys saddens me. Bet you didn’t see that coming. The Grizzlies threw it way back in 2015, paying homage to the Memphis Sound with these incredibly clean jerseys. The all-red look is always a good choice, and that smooth cursive writing paired up with a 70s font earns two thumbs up from me. You either love these jerseys or you hate them…and I hate them. Before you start telling me how it’s vintage and unique, answer me this: Would you wear it? Would you honestly put on this jersey? I don’t think you would. There’s enough going on with this toothpaste-colored disaster to induce seizures, and that wild trim looks like amatuer cave drawings. 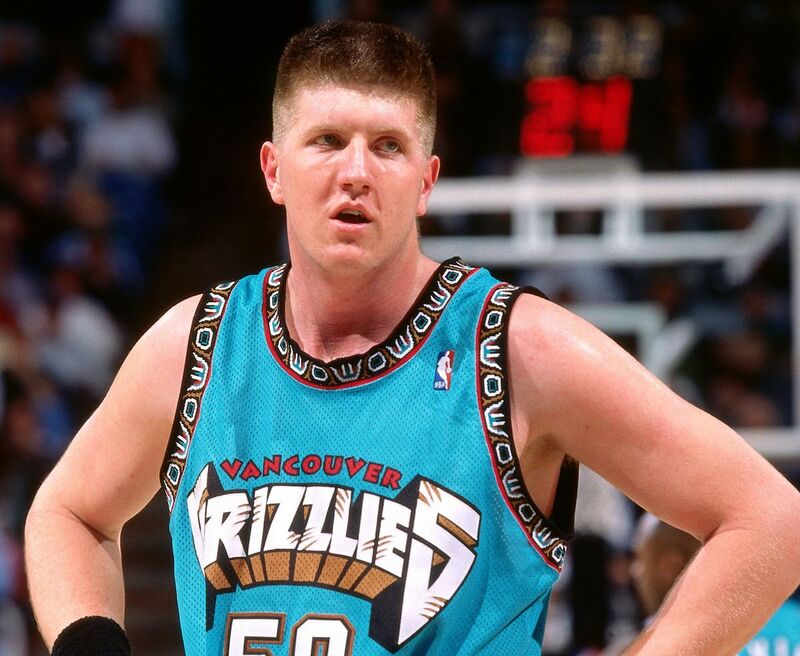 You’d also be wearing a Bryant Reeves jersey, and I know you don’t want to do that. 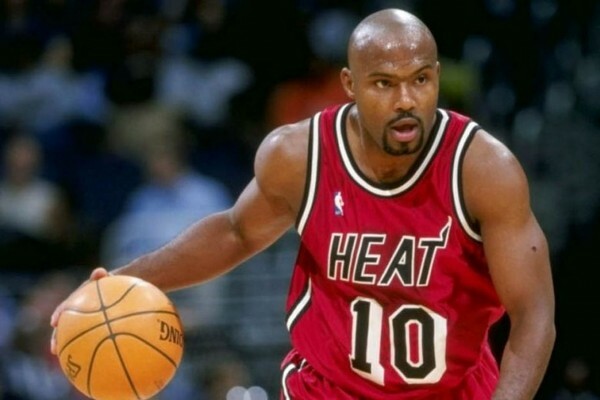 Miami definitely tore a page out of the Lakers’ book with this 3D font, and that’s okay. Miami has a number of great jerseys, but I have this one at the top of my list. 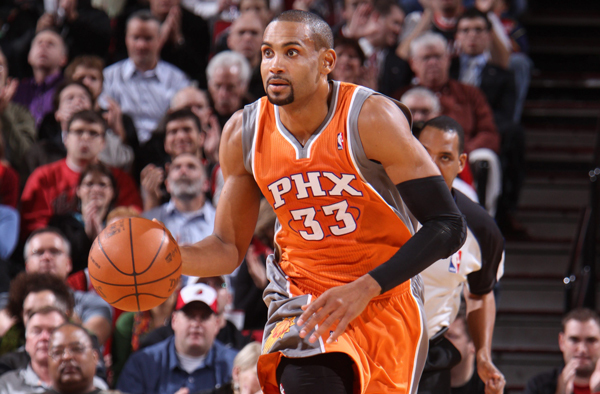 Despite being retired in 1999, this jersey has occasionally makes appearances on the court. If you ask me, it needs to come back for good. 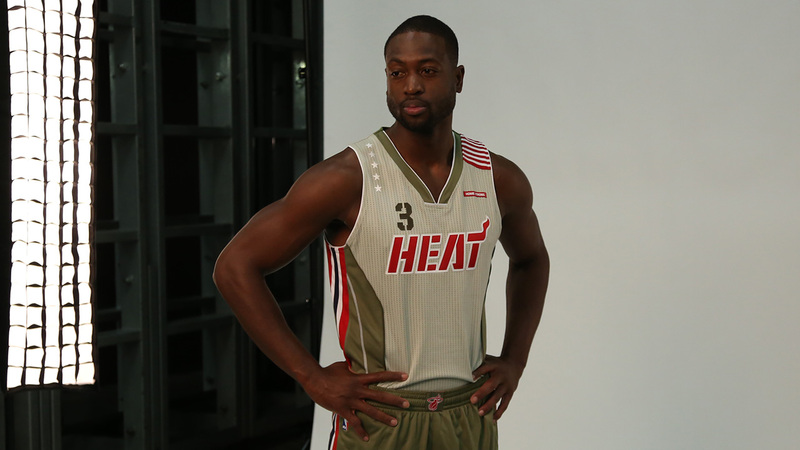 Miami’s heart was in the right place with these Military Appreciation jerseys, but the execution was poor. In their defense, no team has managed to successfully role out a good military uniform (which you’ll see later on in the list). 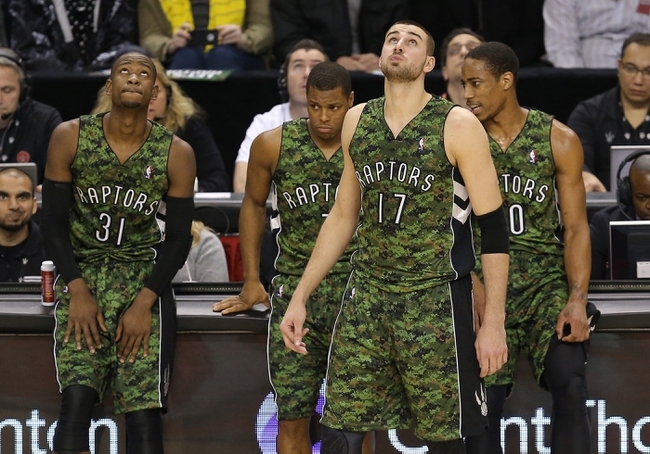 I’m going to spare the Heat of a roast session because of this, but we all know these uniforms are a no-go. It toom them long enough, but Milwaukee finally got it right with these alternate jerseys. We’ve seen some awful uses of the buck on previous jerseys, but this new one is top notch. 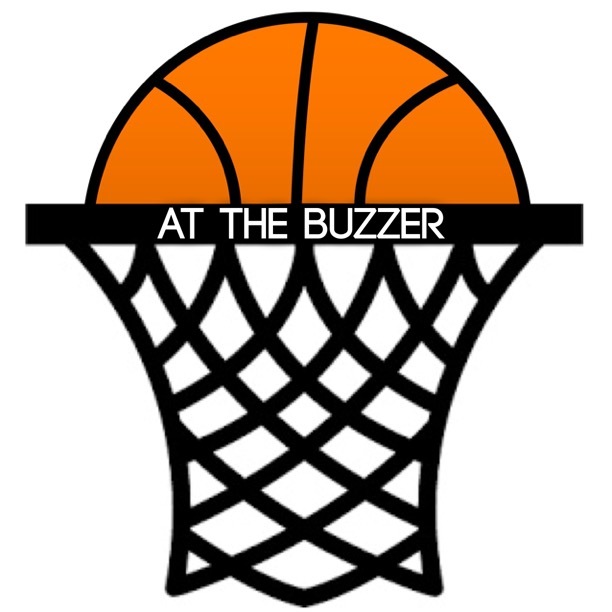 The logo is filled with subtle details such as the “M” on the buck’s neck and the basketball in its antlers. A logo that nice needs a simple background to let it stand out, and the black jersey does exactly that. Good job, Milwaukee. This is how you don’t incorporate the buck. Remember all those subtle details that I mentioned in the new logo? Yea, there’s none of that in the old one. It’s just a massive white and purple buck plastered over an atrocious green jersey. Please keep these in retirement. The glory days of Minnesota were when Kevin Garnett was wrecking the league in the early 2000s. 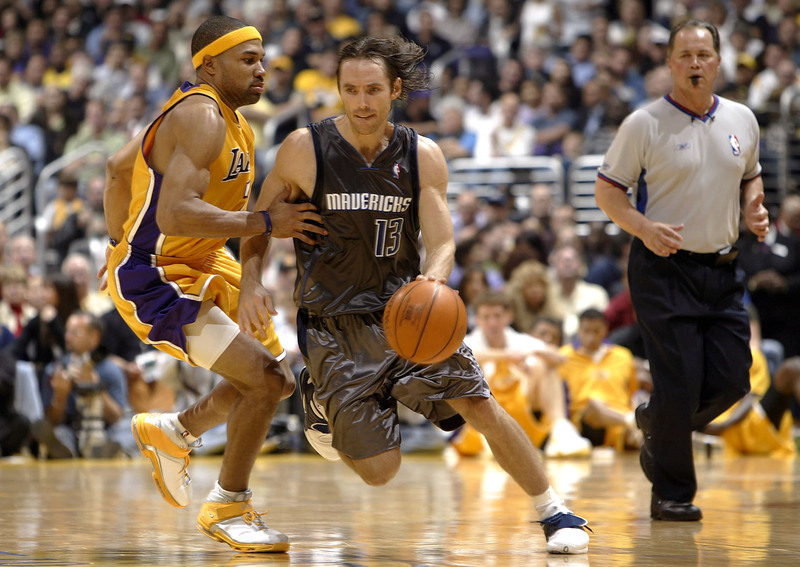 The Timberwolves made it all the way to the Western Conference Finals in 2004. With a great team, you need great jerseys. The jagged font is exactly what you’d imagine when you hear the word “Timberwolves,” and the trim filled with trees is an excellent touch. 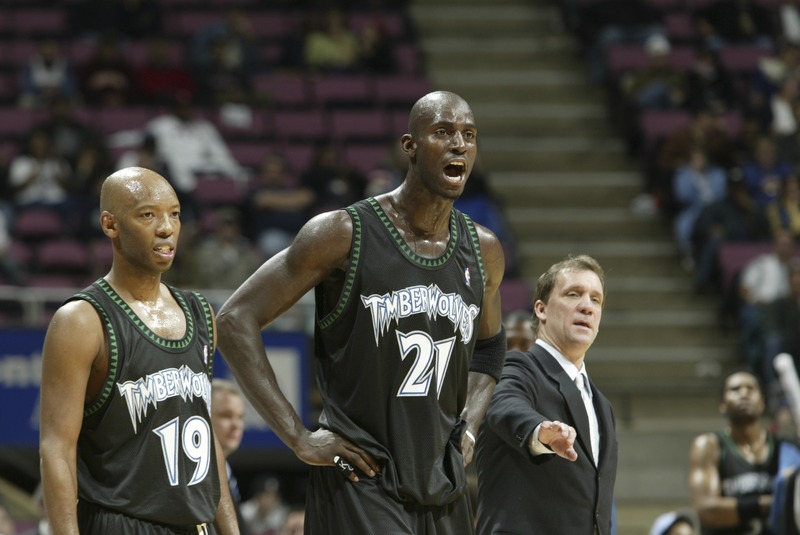 Garnett left on the same year that Minnesota announced they were retiring these magnificent threads. Coincidence? I think not. Minnesota acquired Jimmy Butler, one of the most popular players in the league, this summer. With that being said, I’m not buying his jersey. And do you want to know why? I’m not buying his jersey because they got rid of the green! Sure, the silver and white trees on the side are cool, but these uniforms are a total miss without that sweet forest-green trim. 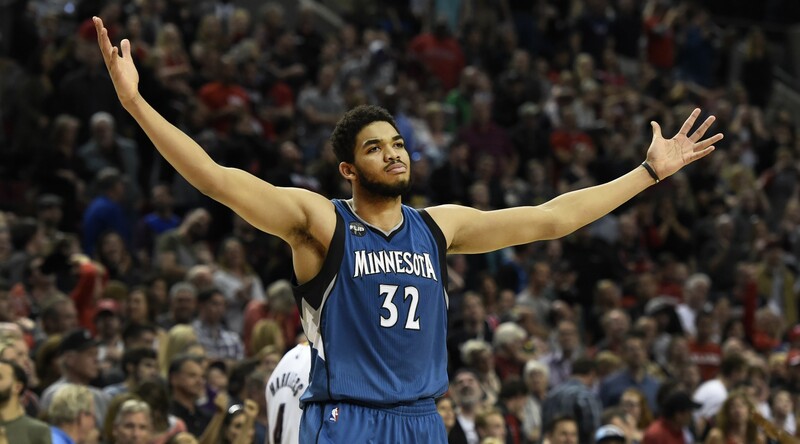 Here’s an idea: Minnesota is finally ready to make it’s mark on the league again. Bring back the OG jerseys and get back to winning games! 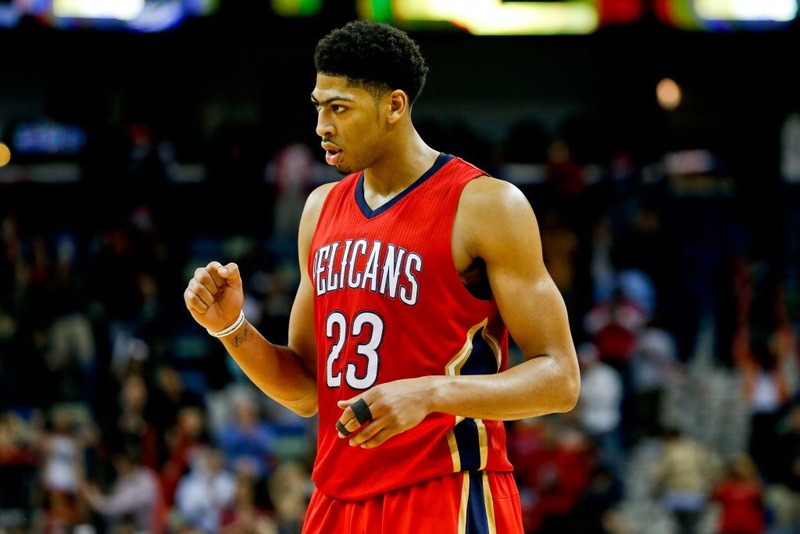 The Pelicans have gotten a lot of things wrong in their brief history. Their terrifying baby mascot immediately comes to mind. But they were right on the mark with this design. The all-red jersey paired up with a gold and navy trim is the perfect amount of that New Orleans swagger. 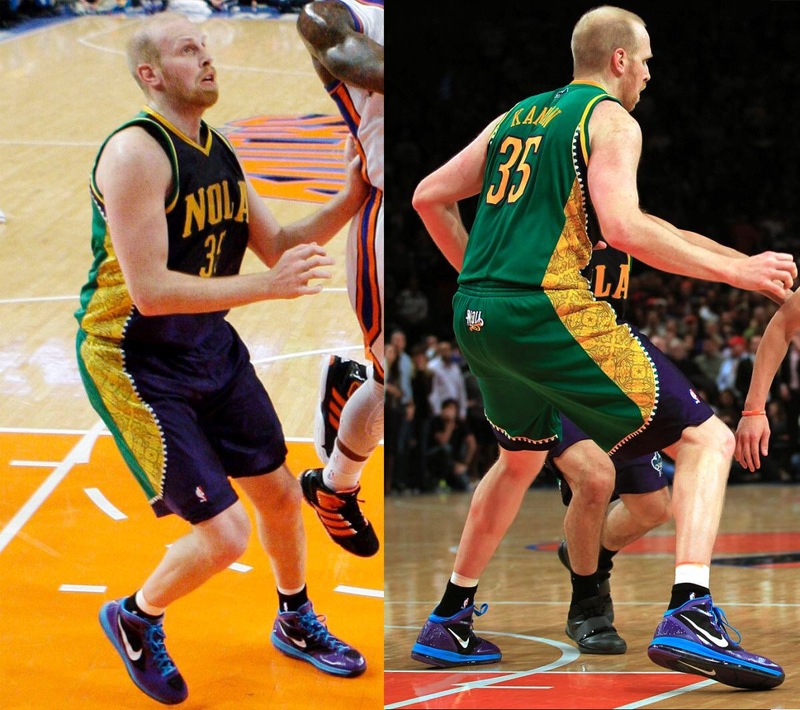 New Orleans should have a Mardi Gras jersey, right? WRONG. Not if it’s going to look like this. There’s so much going on with this disaster of a uniform that I can’t even begin to roast it. The purple front and green back is like Two Face from Batman, except in this case both sides are ugly. I know that Mardi Gras is supposed to be a little out there, but these jerseys are downright laughable. The Knicks are another team that haven’t made any major changes to their jerseys, and that’s okay with me. In fact, fans would probably lose it if they even tried to switch it up. 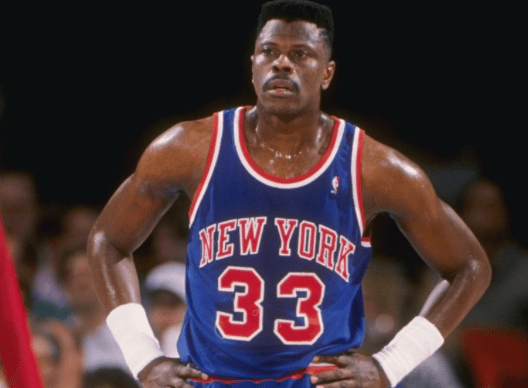 There aren’t a lot of things that the Knicks are doing right nowadays, but at least their jerseys are still one of the more iconic ones in the league. I told myself I wasn’t going to put this many Christmas jerseys on the list, but I just couldn’t help myself. New York reached a whole other level of ugly with these threads. 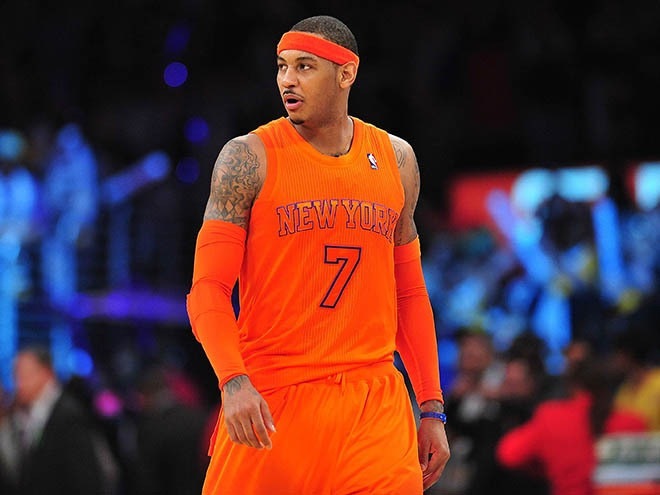 I know Carmelo Anthony went to Syracuse, but even he probably thinks this is too much orange. If the Knicks really want to get Anthony to waive his no-trade clause, they should just tell him that they’re making these the official home and away jerseys for 2017. He’ll jump ship in an instant. Sorry, Oklahoma City. 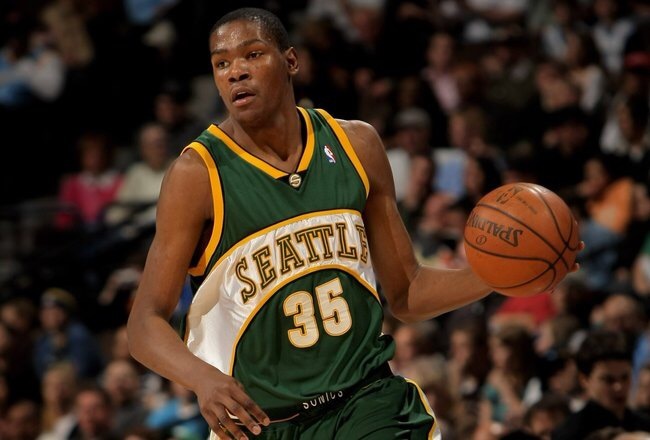 We all know that the Thunder belong in Seattle. The Supersonics made the green and yellow combo work, and the single streak of white across the jersey is simplicity at its best. Oklahoma City has a great fan base, but Seattle needs to get its team back. This jersey is just…vanilla. It’s not terrible in any way, but it’s so painfully boring that it had to make the list. There’s a newfound sense of hope in Oklahoma City now that Paul George is on board, so maybe it’s time to shake things up with the uniforms and part ways with these dull ones. You can’t go wrong with this jersey design. The Magic wore this spectacular concept in black, white and blue, and all of them were instant classics. I personally favor the blue uniform, but either one of them is an acceptable answer. Here’s another example of the league trending towards boring jerseys. Look at the uniforms that Shaq and Penny wore and then look at these sorry threads. Where’s the magic? It’s no wonder Shaq never came back. Before The Process, there was The Answer. Allen Iverson is the coolest player this league has ever seen, and these black and red jerseys were the perfect fit for his bad boy image. Iverson’s face says it all. How dare the 76ers forced the great A.I. to wear this hideous uniform. They look like practice jerseys (Iverson’s least favorite kind of jersey). This is easily the ugliest uniform that “PHILA” has ever rolled out. 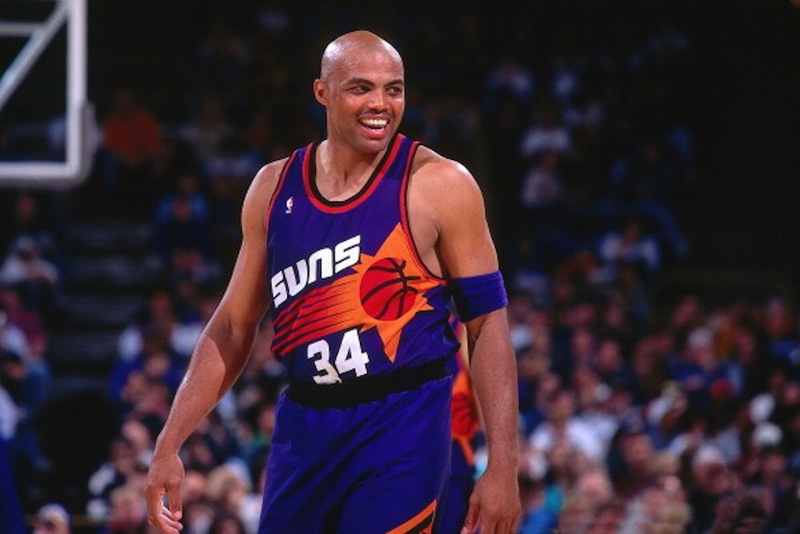 Charles Barkley may not have ever won a ring, but at least he got to rock this epic jersey. Teams have slowly begun to phase out the color purple in their designs (Phoenix, Utah, Toronto, etc. ), and it’s a shame. Purple and orange is definitely one of the more unique color combos, and this jersey needs to make a return. These jerseys look like rejects from the Halloweentown Spring collection. Replacing the purple with an ashy grey is a crime, and removing the flaming sun across the chest takes away all the personality in this uniform. Portland really hasn’t made any major changes to its uniform other than the font. I personally prefer this late-70s uniform because the text looks a lot smoother than the current one, but you’re really just comparing apples to…slightly different-looking apples. Portland finally decided to step outside its comfort zone in 2015, and they really shouldn’t have. Short-sleeve jerseys are almost always an instant fail, and there’s just nothing about this jersey that really captures your attention. You already know that I love powder blue uniforms, and the Kings’ late-80s uniforms are one of my favorites. Sacramento has unveiled a lot of horrific jerseys, but this sweet blue and red combo was a bullseye. Never go that heavy on the gold, Sacramento. Toronto’s OVO jersey is a good example of how to properly use the color gold, but the Kings clearly went overboard here. Mike Bibby looks like Willy Wonka’s golden ticket in this uniform, and I’m surprised these things even lasted for two seasons. Much like Boston and Chicago, San Antonio is more focused on winning games than altering its jerseys. Because of that, there’s really no clear winner amongst its uniforms. 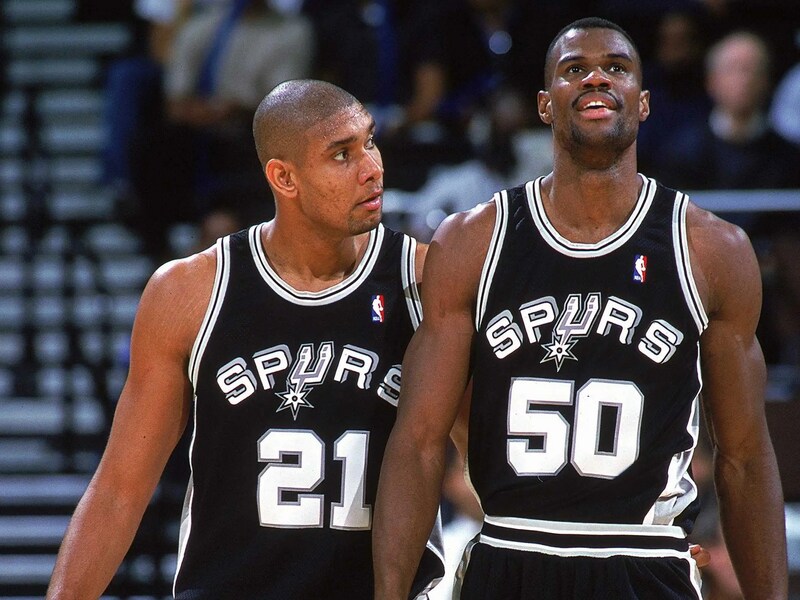 I’m leaning towards these 90s threads because of the large numbers and the 3D text, but I mostly just wanted to show a picture of a young Tim Duncan back when he was Robin and The Admiral was Batman. 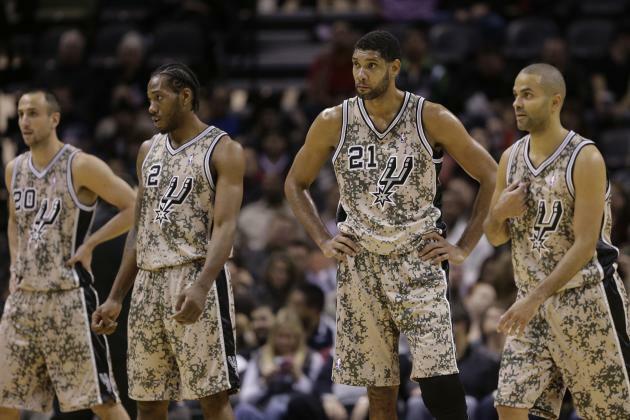 The Spurs decided to honor the military and those who served with these jerseys in 2013, and the result wasn’t pretty. As I’ve said before, it’s extremely difficult to make a good military appreciation jersey. But even when I set aside that hideous digital camoflauge, I still can’t get over the Spurs logo plastered on the front of the jersey. It’s exactly what makes the Christmas uniforms so ugly. Nobody wants to see a jersey that doesn’t have the team name on it! Simply placing the logo and the number on the front will always result in a bad jersey. The sooner the league realizes that, the better. Best. Jersey. Ever. There’s a reason why you still see people rocking this flawless uniform. It’s a classic. When you see this jersey, you think of all the gravity-defying dunks that Vince Carter pulled off in it. I don’t think we’ll ever see a uniform that’ll top this one. Do I even have to say it? Always stay away from camoflauge. If you want to honor the military, just put a commemorative patch on the jersey. It’ll still get your message across and it won’t look like a forest just threw up on you. 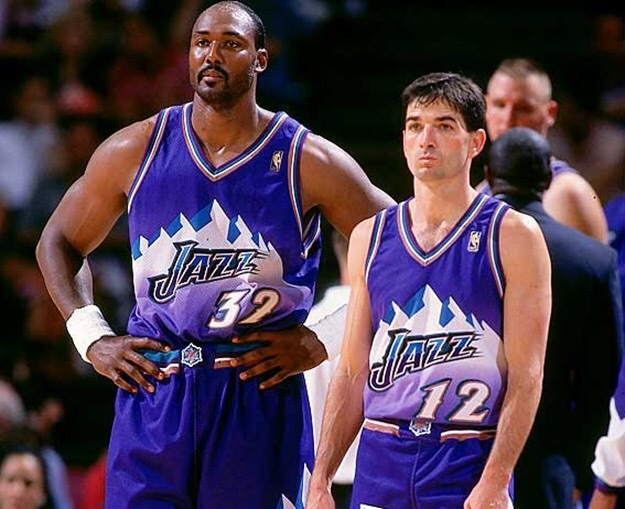 When I was doing my research for this article, I was shocked to see that some people had this jersey as the worst Jazz jersey of all time. My response: CHECK YOURSELF. Those white mountains cascading over a purple sky are epic, and the touch of icy blue is genius. I don’t care what anyone else says, these uniforms are awesome. You can’t tell me you’d rather have this jersey than the purple one from the late-90s. I realize everyone has their own opinion, but your opinion is wrong. 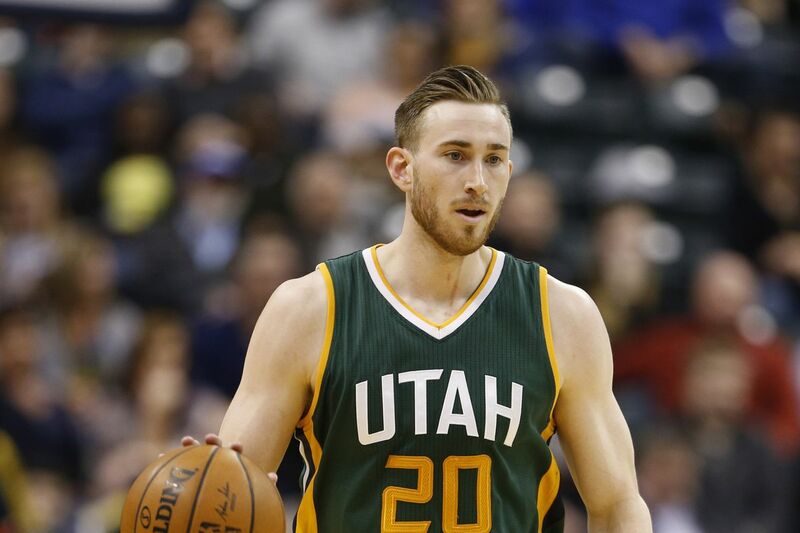 Maybe if Utah would’ve kept the purple jerseys, Gordon Hayward might’ve stayed. Just saying. The Wizards hit a home run with this jersey. 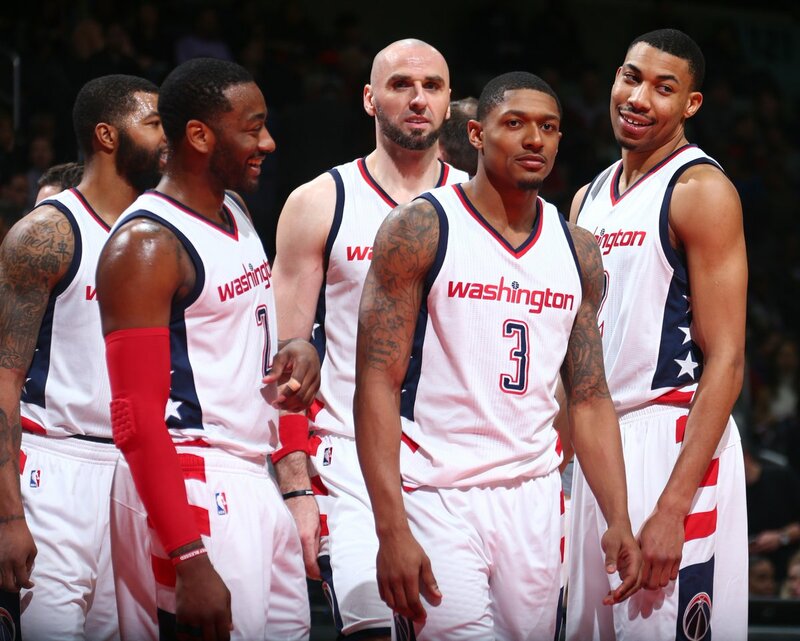 I’m surprised it took the nation’s capitol this long to make a stars and stripes uniform for its basketball team. It’s a simple design that speaks volumes, and Washington should upgrade them from alternates to home jerseys. Washington, did you learn nothing from Sacramento’s mistake? Go easy on the gold! 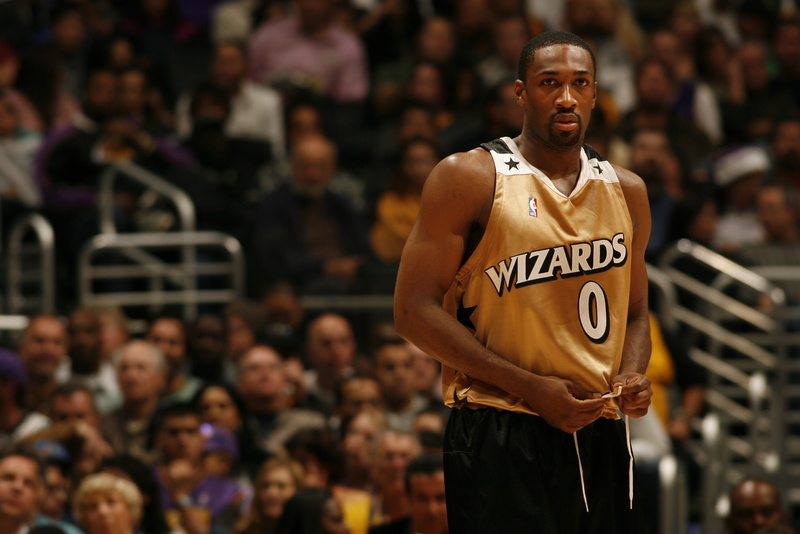 You can just tell Gilbert Arenas was ashamed of these threads. He made eye contact with the photographer of this picture and just froze with fear. Nothing about this jersey screams USA, and I pray they’re gone for good.